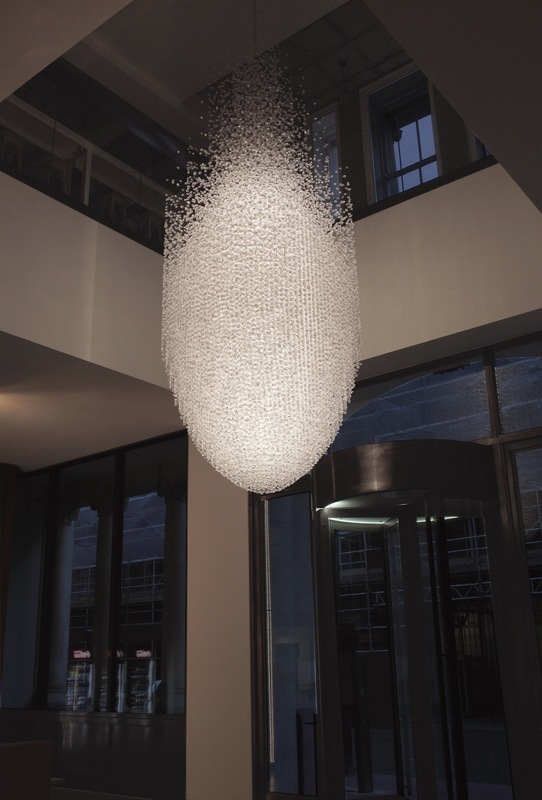 For the Coca -Cola commission, I wanted to create something that was literally out of this world, powerful, dynamic and would glow with energy - it had to stop people in their tracks as they enter the new Coca-Cola Wimpole Street headquarters. It was important to have a link with drinking the iconic beverage, and the point that has always registered with me is that Coke should be served cold and with ice. This was my starting point, which eventually led me to create a Comet heading down to Earth created from around 80,000 acrylic ice chunks. A comet is basically an icy small Solar System body made up of ice, dust and rocky particles hurtling at great speed from outer space producing a trail of bright light. I like the paradox of a comet made from ice and heating up as it passes close to the sun releasing a trail behind, reminiscent of an ice cube dropped into a glass of Coca-Cola creating a fizzy trail of bubbles. The Comet is not just global but universal and also touches on environmental issues such as the melting ice caps. I like the illusion of using artificial ice, giving the impression of a cold clear material, which could melt and disappear yet actually it is stable and long lasting. 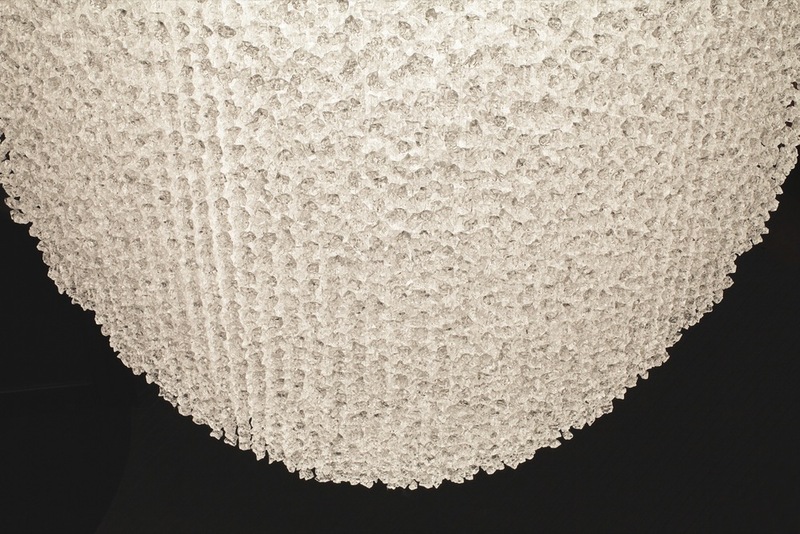 By using small chunks of acrylic ice that physically resemble crystals the comet also references an opulent traditional chandelier hanging in the entrance hall of a grand palace. Materials – Acrylic ice chunks, micro cable, plywood & LED ribbons.